Also known as Sweet Laurel, have long been used to treat problems associated with the liver, stomach and kidney. 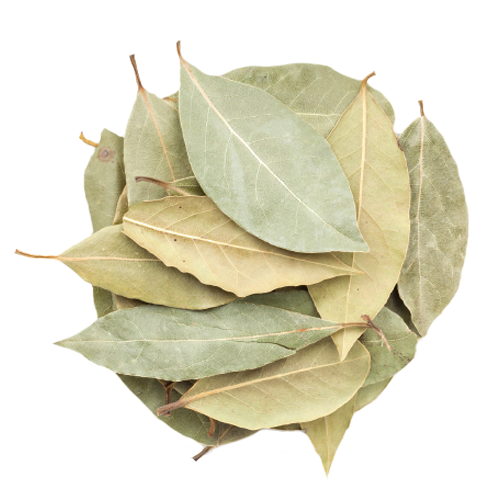 Bay leaves are pungent, with a sharp, bitter taste. When dried, it has an herbal aroma, and provides a savory boost of flavor to soups and stews.